Parents of children who are starting out in a Montessori program are often curious about what they can expect their child to accomplish during their time in a Montessori environment. The possibilities are endless. Matthew, Maddilynn, Misha and Evyn completed Kindergarten at THE SPRINGS in June 2013 and have moved on to elementary school. 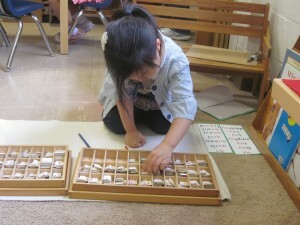 They provide great examples of Montessori educations. Matthew started school at THE SPRINGS when he was three years old. He enjoyed mathematics, language, geography and reading. 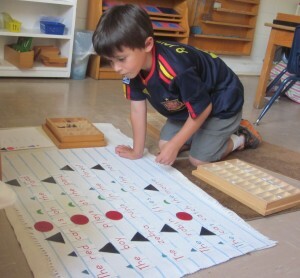 His favorite materials are the multiplication board, division board, counting chains, puzzle maps and vocabulary cards. Matthew is self-confident and sets a good example for the other children socially as well as academically. Matthew’s favorite sport is soccer and he wants to be a soccer player when he grows up. His favorite team is D.C. United and he currently plays on a soccer team named United. Matthew volunteers with his younger brother’s soccer team for children with special needs every Sunday afternoon. Matthew enjoys going to the beach, listening to music, and playing outside. He loves to swim and collect sea shells. His favorite color is red, and his favorite foods are cheese pizza, chicken sandwiches and hot dogs with ketchup. Matthew’s fondest memory of THE SPRINGS is the Science Fair his class did this past Spring. Matthew additionally loves our bi-annual fun week that includes, pajama day, crazy hair day, and sports day. Maddilynn has been a student at THE SPRINGS since September 2010. Maddilynn is a very independent, self-motivated and enthusiastic girl. She is very affectionate and always willing to help and give lessons to younger friends. When asked about school, Maddilynn said she loves coming to her class every day because she can work in different areas such as practical life, sensorial, language, math, geography and science. In her words, some of her favorite works are dish washing in practical life because you clean dishes, metal insets in language because you can make different designs, and the snake game in math because you can make a colorful snake and change it into a golden snake. Maddilynn aims to be a veterinarian in the future so that she can help pets feel better. The best thing she likes about school is “Show and Tell.” She loves to share and listen to other friend’s show and tell. She also enjoys playing with her friends and doing work. She said she always wants to finish her work so that she can take it home and show it to her mom. Maddilynn has completed the three year cycle from Montessori preschool through kindergarten. 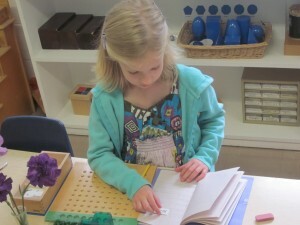 She is a true Montessori child who is a leader and a positive role model for everyone. She is looking forward to going to first grade but, at the same time, she said she will miss her friends and teachers at THE SPRINGS. Misha has been a student at THE SPRINGS since September 2011. Her inquisitive and enthusiastic nature has enabled her to thrive in the classroom. Misha has a genuine love for learning. She enjoys reading, and especially the stories that she takes home to read to her family. Math has always been a favorite area for Misha. One of her favorite works is combining the decimal system bead material with the number cards. 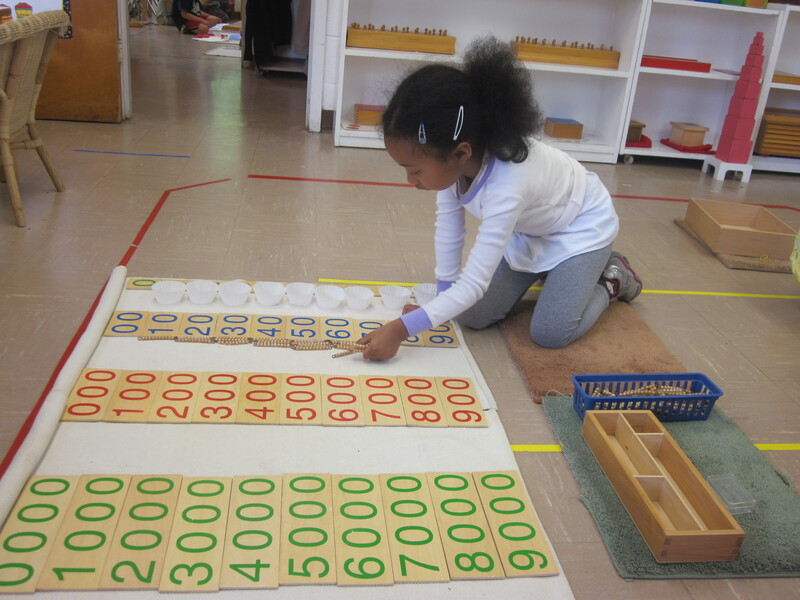 She thinks this work is “awesome.” She also enjoys the division board because it’s a fun challenge for her. Misha is a quiet, gentle leader and a positive role model for her classmates. She is always eager to help anyone in need. Her fondest memories at THE SPRINGS include doing challenging work, being with her friends, and relaxing and staying cool in our new sandbox. What Misha will miss most about THE SPRINGS is Ms. Cindy, her teacher. Misha wants to be a pediatrician when she grows up. She loves babies and wants to watch them grow and help them be healthy. She thinks being a pediatrician will help her take care of her own children. Misha enjoys spending time with her family, flying kites, being at the park, and having fun trying not to get tricked when she plays “Simon Says” with her Daddy. She will attend first grade in the fall at her neighborhood public school. Evyn has been attending THE SPRINGS since she was three years old. Evyn is a very loving student and she enjoys helping her younger friends. When asked what she enjoyed the most at THE SPRINGS, she had a long list. She said she enjoyed working with the maps, bead chains, stamp game, time work, division board, bead frame, and the dot game. Eyvn also mentioned she likes to play outside with her friends on the playground, and going on nature walks during five and six year old time. When we think of Evyn, we are reminded that Maria Montessori said, “The greatest sign of success for a teacher is to be able to say, the children are now working as if I did not exist.” Evyn’s ability to work independently is truly amazing. She has truly developed her need for concentration, coordination, order, and independence. Evyn is such a fashionable student with a great gift of drawing, and an unbelievable gift of creativity. That’s why when she grows up she said she would like to be a fashion designer so she can design clothes for all her friends. Evyn will be attending first grade at Ravensworth Elementary School in the fall.